Any drone that is meant to be used by kids or beginners should have a good number of safety features. Perhaps guarded propellers? Perhaps! It should also look attractive enough, should pack a few performance features so that a regular drone collector doesn’t pass it. 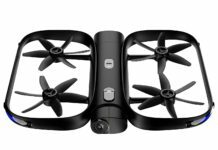 The Holy Stone HS210 Mini Drone delivers all these, and much more! Oh, and it should be very affordable, you know, the kind of money that would not make you feel bitter at all if you lose it. Perhaps less than $30? Some price around that would be good. 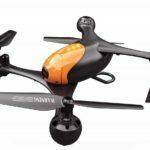 There are many more things to consider and as you will see in this Holy Stone HS210 Mini drone review, you do not have to look any further. Holy Stone is known for making some of the most stylish drones in the market, both for beginner and advanced users. 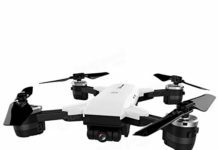 Just one look at the Holy Stone HS210 will show you just how stylish this drone is. It is decked out in white, red and black color combinations. Two propellers are red, two are black. It is small in size measuring about 8cm by 8cm by 3cm. It weighs 21.9g only. The flight time is 7 minutes. However, on Amazon, this drone is sold with three batteries, giving you 21 minutes of flight time. You can buy more extra batteries if you like, but these three should give you enough time to get to fly your drone. This drone uses a 3.7V 220mAh Li-Po battery. The charge time for each battery is 40 to 60 minutes. The remote controller has some features too. For example, it has the on/off button. Press it once and the drone starts. It also has an emergency landing button when a gust of wind comes from nowhere and you are afraid it will blow the drone away. Just press the button and the drone stops flying. The connection range of the controller is 50 meters. 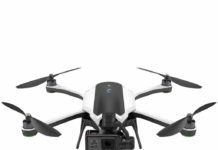 As affordable as this drone is, it is also able to do some flips. In fact, it can do 4D flips as it can roll backward, forward, and both sides. This is a step ahead as most of the other drones can only roll forward and both sides. The propellers are contained in the inbuilt guards. This protects them even if the drone crashes. This is a good feature that should be on the best cheap beginner drones as it is bound to crash a few times before the beginner pilot can learn the ropes of flying. The drone also has an auto-hover feature. You can make it hover at a certain height, just for kicks. Again, this is a commendable feature for a drone that costs less than $30. You can leave the drone hovering when you want to have your hands off the controller. Headless mode ensures that you do not have to worry too much about where the nose of the drone is facing. 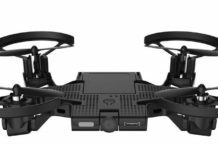 When in headless mode, this drone will fly sideways, backwards and forwards depending on the direction of the controller. Just press the forward stick and the drone goes in that direction regardless of where the nose points. The drone also has a low battery alert in form of an alarm. The controller beeps and the LED lights on the done blink on and off. That is a sign that you should bring the drone home and change the battery. I bought two of these drones for my sons. They fly both of them at the same time but with supervision to avoid mid air collisions. They have been having crazy fun with them. 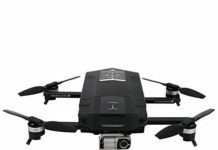 Jeydy H.
I wish this drone had a camera but for the small price, that is perfectly ok. Everything about it is so perfect and the three batteries is a good thought. Risha R.
I have had a few mini drones but this one is the best of them all. 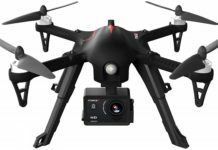 I am impressed that at that size and price, it still has the features that are only found in some of the big drones. Rhoda Q. It took me some time to teach my daughter how to fly this small drone. Although it is a beginner drone, I would recommend that people take some time to learn how to fly it. Sidney K.
Who Should Buy The Holy Stone HS210? 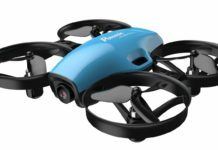 The Holy Stone HS210 is referred to as the best cheap beginner drone for children and first time pilots. However, people who have used this drone say it is better than most mini drones that they have had. Thus, anyone can buy the drone. After all, it is so affordable. When you have a few grandchildren that you want to give gifts in the holiday season, this small drone would make a lasting impression. Besides, the price will not dent your wallet. 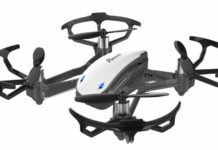 It is a small beginner drone but it has advanced features such as headless mode, altitude hold function and the long flight time. This makes a good toy drone and is sold at a very affordable price. You can buy it for your collection. The three batteries is a good thought. If you are looking for a plug-and-play drone that flies effortlessly and without any issues at all, the Holy Stone HS210 mini drone is perfect for your needs.